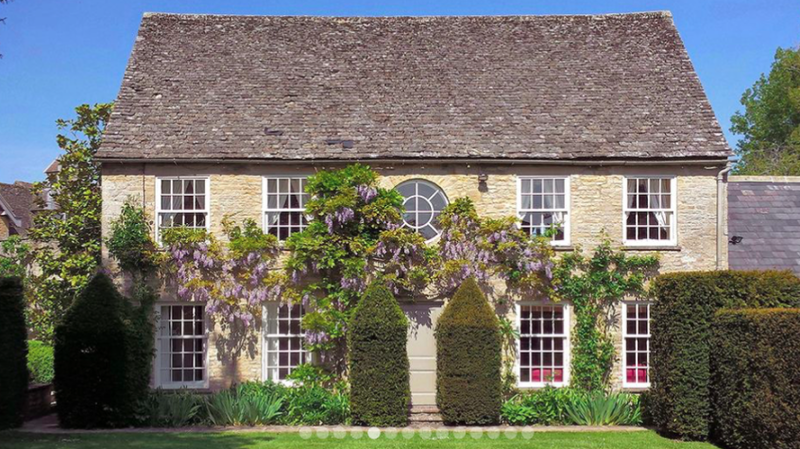 Muddy says: beautifully appointed and maintained family-friendly 5 star cottage complex in the pretty-as-a-picture Cotswold hamlet of Bruern. There’s no doubt that this immaculate cottage complex is family-friendly – you just need to spy the Wendy house, small spa and indoor swimming pool and an indoor games room, so no wonder she never tires of talking about it. 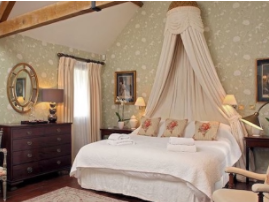 You can borrow bikes to whizz around the country lanes, or do as we did and just luxuriate with one of the best welcome hampers I’ve ever come across (yeah, I’ll have that champers thanks). 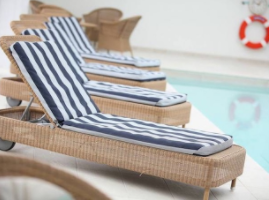 There’s a fully stocked log basket, BBQs for outdoor eating in the summer, or you can pre-order prepared meals from local chefs to ‘heat and eat’ so basically you can laze to the max. 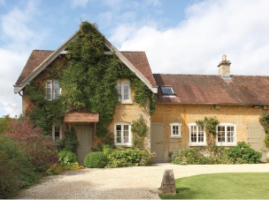 The 12 Cotswold stone cottages come in all shapes and sizes – sleeping anything from 2 to 10 – and decorated in that tasteful but traditional English country way that makes Americans swoon. If you’re looking to aristo rubber neck, the Astors happen to live in the stately home across the road, and it was the family who have overseen the conversion of these cottages.